One topic that comes up a lot when talking about binary options trading is maintaining a work-life balance. That means balancing your trading with the other activities (including a day job, if you have one). It also means taking the time to take care of your body and mind. In the pursuit of riches, it is easy to get glued to the computer monitor, frantic that you never miss a chance to make money. One thing you will learn however with trading is that this is a great way to lose money, and often a great deal more than that. The best traders who make the most money over the long term are those who keep themselves in the game by taking care of themselves. 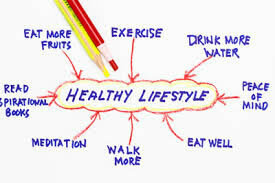 In this article I will share some lifestyle tips with you so that you can trade profitably and healthily. A rich, healthy diet that boosts brain function. Binary options trading requires a lot of focus. You need to be able to concentrate, sometimes for long time periods, think fast, and memorize a lot of information to trade well. You also need to be adaptable and capable of taking in new information on a regular basis and retaining it. Just getting back into the groove of research and learning should help you to think more efficiently, but eating a healthy diet and taking a few helpful supplements can also make a huge difference. Omega-3 fatty acids. These fatty acids are very good for us, and most people do not get enough of them. They occur naturally in fish oil, flaxseed, walnuts, and legumes. A recent study in PLOS one research journal indicated that omega-3 not only can slow the effects of Alzheimer’s disease, but can also prevent brain function decline in healthy individuals. Omega-3 fatty acids can increase your ability to concentrate, and can also combat depression. This makes it a great balancing supplement. Ginkgo Biloba. This herb comes from China and contains flavonoid glycosides and perpenoids. These compounds can improve memory as well as focus. Research indicates that effects for this herb reach their maximum about two and a half hours after you take it—so you may want to plan to take this herb several hours before you will be planning or executing your trades. Panax Ginseng. This is another Chinese herb that has been used in natural medicine for a very long time. Like the other supplements recommended above, it can raise your memory and attention span, and also help to soothe anxiety. Keeping your mood stable while you are trading is very important, just like being able to concentrate. Dark chocolate. Good news for chocolate lovers—dark chocolate contains flavanols, chemicals that are capable of enhancing your brain’s ability to absorb information. Dark chocolate also can enhance your mood, like the other supplements listed here. Clearly, mood and learning are closely interlinked. If you struggle with concentration or learning retention, or you have a hard time staying optimistic, confident, and calm when you are trading, one or more of these supplements may lead to improvements. What you put into your body makes a huge difference when it comes to how you function. How much exercise do you get each week? Do you spend all your time in front of the computer monitor and not enough of it being active? If so, you may actually be hindering your ability to concentrate and trade well. According to the May 2013 issue of Harvard Men’s Health Watch, exercising regularly helps your brain to release chemicals that are critical for memory, concentration, and general mental performance. What types of exercise should you do? According to the researchers, the best type is moderately intense, and it should be performed regularly. Several times a week, it’s a great idea to get your heart pumping. When your cardiovascular health is in order, you not only have a healthier heart, but you also tend to enjoy less stressfulness and anxiety, and you may feel like you have more energy throughout the day. Additionally, exercising helps your brain to release a chemical called brain-derived neurotrophic factor (BDNF). There is no way to get BDNF in supplement form, so exercise is literally the only thing you can do to boost your BDNF levels. Doing this can help you with learning retention, which is great when you are learning how to trade binary options. A lot of people also say that they feel more alert and energetic throughout the day if they wake up and do a little exercise in the morning. By exercising and eating right, you can reduce lethargy. That means that when you sit down to trade, you will be alert and awake, and ready to perform at your best. There is nothing worse than trying to trade while tired—and yet most of us have met another trader at some point in time who complained that they never got any sleep, because all they were doing day and night was trading binary options. Almost without fail, the trader who approaches binary options in this manner is going to blow his or her account. Quite often, that person will quit trading entirely, and warn others off of it, saying that it is an unhealthy activity. Of course, the only truly unhealthy activity that kind of trader partakes in is forgoing sleep. Sleep is absolutely essential to the functionality of both your body and mind. When you are sleep deprived, you feel tired, achy, anxious, and weak. Moreover, you often feel like you are looking at the world through a fog. You deal with delayed reaction times, forgetfulness, and bad judgment calls. The state of sleep deprivation is very similar to the state of inebriation. Would you ever trade while drunk? If your answer is no (and I certainly hope it is), then you should never trade while sleep deprived. Get a full eight to ten hours of sleep every night. If you miss out on sleep, considering skipping out of trading until the next day when you are feeling more rested. Like sleep, leisure time often falls by the wayside for traders. This is understandable, but not necessarily wise. You probably work a full time job already, which takes up nine hours of your day. Throw in meals and sleep, and you are probably only left with a few hours each day to work on trading, plus your weekends. Trying to start up a business trading during these scarce hours is very difficult. There is no denying that fact. It is even harder because you have already used up so much of your energy and focus on other activities. The idea of trying to squeeze in “time for yourself” around all of that may seem ludicrous. After all, making money is more important, right? After you do, you will have all the time in the world. It is true there are times in your life you may have to put work first, and put your leisure activities on the back-burner. And maybe this is one of them. But be wary about doing this for an extended time period. Work can easily turn into an addiction. While people who say “I’m a workaholic” generally are not particularly serious about it, becoming addicted to work is a very real possibility, and it can be just as damaging to the rest of your life as any other addiction. Try to set aside regular time for leisure activities, even if it isn’t very often. Even if you fill your weekday hours with trading, and you may spend part of the weekend studying binary options, it is essential to set aside at least a few hours, if not a full day, for other things. Doing this frees up your mind to explore other activities and ideas. This is not only very healthy, but can actually help with your trading in the long run. Why? A lot of our biggest steps forward come not from staring at the same thing for days and days, but by setting it aside and doing something else. Different links form in our minds, and we are able to look at something old in a new way, based on what we learned from some other activity. Your leisure activities may very well help you bridge connections in trading activities you are struggling with. One other thing that I hear a lot of traders talking about, and usually regretting, is the loss of a social life because of trading. Binary options trading tends to take up a lot of time, as I just discussed, which can start to crowd out other obligations, including your commitments to other people. This might include a spouse or significant other, family members, and your friends. At first, you might not think that this is going to be a big deal, but as time goes on, you may start to notice that you have lost touch with people around you—and that they have started to realize that they are not a priority for you. At that point, you may cease to be a priority for them. It is a very bad idea to let your social life get away from you in the pursuit of riches. Even when you do start to finally make it, you don’t want to look around and realize you have nobody to share your wealth with. Being poor doesn’t make anybody happy. Being rich alone will not make you happy either, though. Being rich and having loving people in your life can. But that might mean that you might need to be willing to take your time reaching your financial goals. Set aside regular time to be with the people who love you, so that they will still be there to share in your wealth when you start earning the big bucks. New binary options traders tend to make the mistake of thinking that trading is all about numbers, charts, indicators, and financial reports. Trading is about those things, but even more so, it is about you and how you approach not only your binary options trades, but the rest of your life. A successful trader will be one who puts time, care, and attention into all aspects of his or her life, including not only trading, but everything else that the trading is being done to support as well. Are you ready to trade full time?